I found a good concept website calle concept cookie and they usually have some little challenges going on here and there and To push me into actually making some work i thought well why not try on of the challenges. This wa sa mother nature challenge concept so i decided to go for the whole giving birth to life kind of situation. 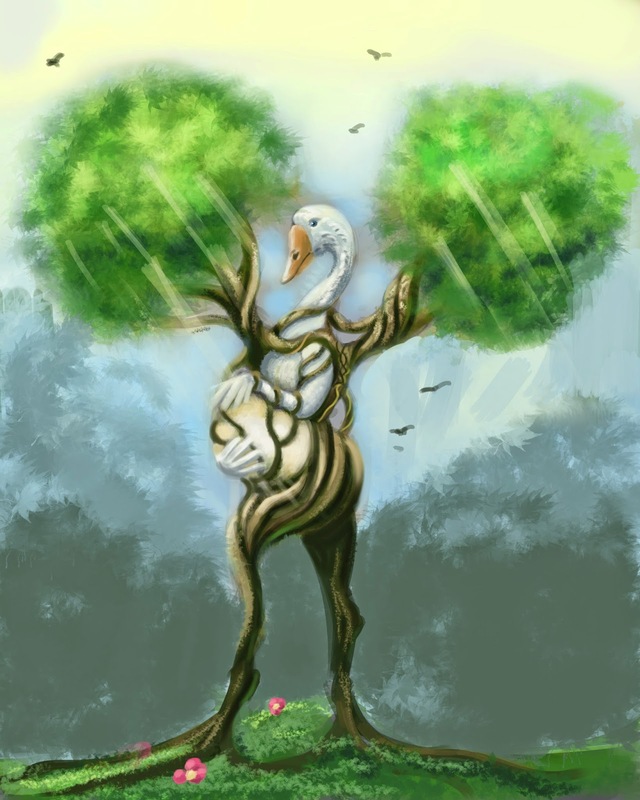 The mother is represented by a goose because for some reason "Mother Goose" came into mind and i thought it worked quite well :).